The face is the most visual component of the human body. In fact, it is the first thing one sees. Interestingly, eyewear might be the only product a consumer is willing to buy for a substantial “fashion premium” over its utilitarian eye-corrective function, even though he/she cannot actually see the product while wearing it. Meanwhile, “Glasses are one of the most effective poverty alleviation tools in the world.” – Dave Gilboa, Co-Founder and Co-CEO of Warby Parker. Think about it. The ability to see enables the ability to learn, to work, to exercise, to feel good. The ability to see is a necessity. And it happens to be a necessity that millions of people worldwide lack access to. Transform the overpriced optical industry to shift money from corporations to consumers. Build a business that could impact greater good. Become a stakeholder-centric paradigm for other for-profit companies. Today, Warby Parker exists as the archetype of sustainable business: a for-profit company using its business model to alleviate social deficiencies. While Warby Parker is still a private company, with funding from high profile venture capitalists, we must assume this model of profitability is robust. Tiger Global Management’s funding of $60 million at the end of 2013 comes to mind. Dave Gilboa articulates: “We recognize that the bigger that we become as a business, the bigger the ultimate impact we can have on the world is”. But here’s the kicker. Warby Parker’s ability to impact is almost entirely consumer driven. In June of last year, Warby Parker announced a tremendous milestone: the company had donated its millionth pair of eyeglasses since its launch in 2010. It’s genius. “We tally up the number of glasses sold and make a monthly donation to our nonprofit partners, which covers the cost of sourcing that number of glasses” (warbyparker.com). Nonprofit partners such as VisionSpring subsequently use that money to train men and women in developing countries how to sell eyeglasses and confer eye exams. Watch the video here. Why not just donate glasses? 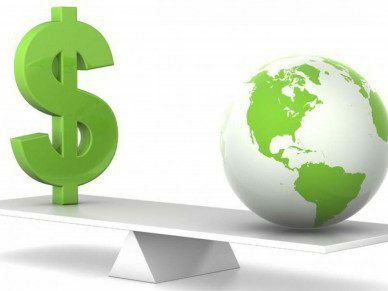 Around the globe, companies are struggling to market sustainable efforts to a consumer not quite there. As such, businesses have been hesitant to promote ethical consumption, the term given to purchases of sustainable and morally produced products and services, generally motivated by a consumer’s ethical desire. Yet, Warby Parker has managed to not only embrace ethical consumption, but also evoke a tremendous consumer response. Why has this business model proved so successful? 1. Glasses are a high-margin product. 2. Warby Parker has established a trendy brand image, some might even deem it: The Cool Factor. 3. The company has capitalized on a growing trend: consumer desire to purchase from companies with social mission. The one-to-one notion (buy a pair, give a pair) lends confidence to consumers. In contrast to companies that pledge to donate x% of revenues or profits to vague social causes, the Warby Parker consumer is helping an individual(s) who is almost identifiable. When the Warby Parker consumer looks in the mirror and sees his/her own glasses, he/she can immediately think of the jobs created and skills garnered in the developing world as a result of this purchase. Warby Parker has effectively turned visualization into the perfect marketing tool. WARBY PARKER IS A BRAND MARKETER’S DREAM. 1. They like the look. 2. 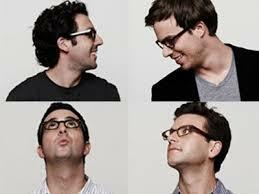 The Warby Parker consumer wants the world to know that he/she cares about social cause. Despite all other brands of available eyewear (and some that are cheaper, e.g. ForEyes offers two pairs of glasses for $99), the Warby Parker consumer purchases from Warby Parker because he/she wants to a.) contribute to greater good and b.) let people know that he/she is contributing to greater good. That is the beauty of the product. It is directly on one’s face. What a perfect business model. Still private. Too bad. No opportunity to invest. Excellent greensportsblog, thanks for the intel! Cool story. I checked out the Sockket site. $99 for a soccer ball does not seem practical. Perhaps the technology is not there yet. The beauty of eyeglasses: the manufacturing cost is very low and glasses can be provided to poor countries for $5 a pair, or in some cases even less – and that is with distribution and an eye exam included! Nice post and what a great way for the consumer to contribute. Previous Is Chipotle Cultivating a Better World?